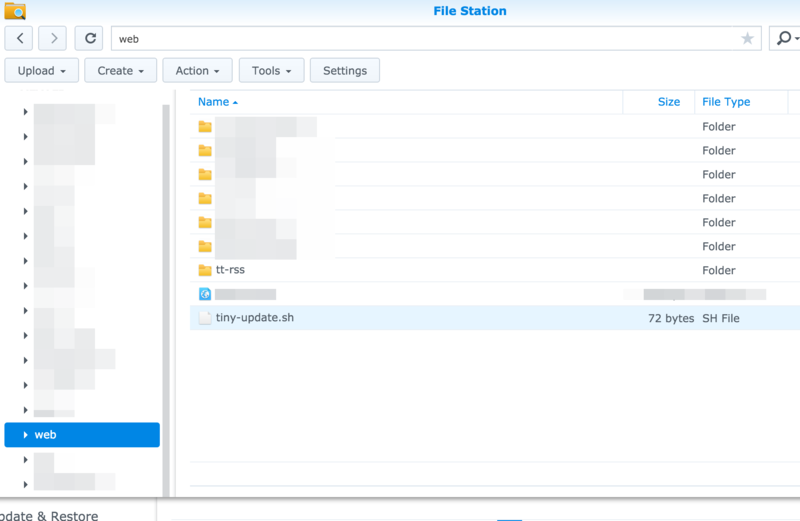 Synology has recently released DSM v6.0-7321 for their product which comes with an update on MariaDB (MySQL), phpMyAdmin packages. If you've updated your device to this latest version, you may have noticed that your feeds are not being updated anymore though ttrss works with no problem. This is caused by some core changes that was made to DSM's OS like PHP 5.6 update and what not. 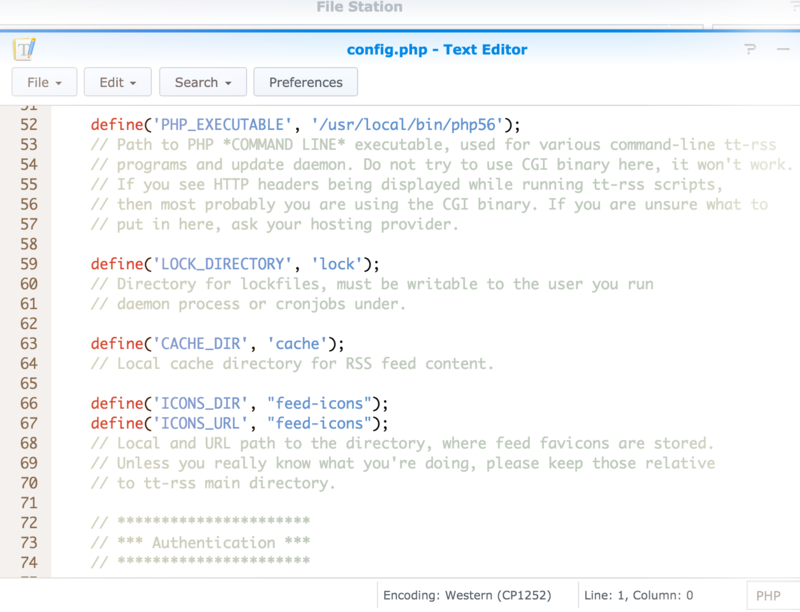 PHP support for MySQL is required for configured DB_TYPE in config.php. that means you need to use new version of php executables and update your ttrss config file. to this and save the file. 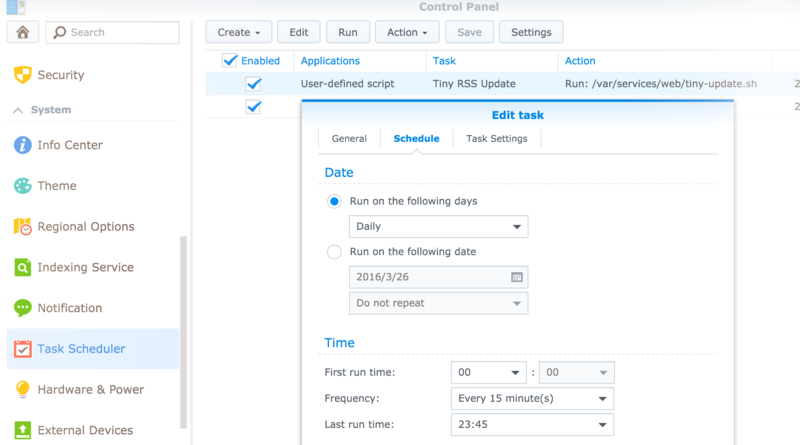 You can also automate this update process by using Task Scheduler. All you have to do is putting this command into a shell executable (e.g. 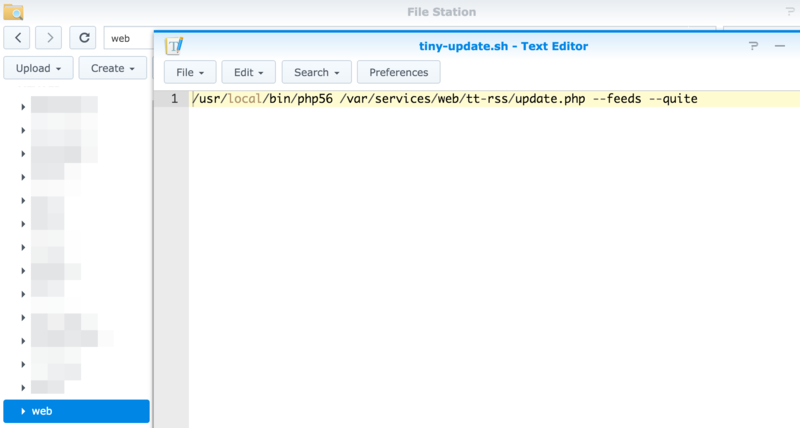 ttrss-update.sh) file and point the file in a "User-defined script" task that you created by the Task Schedular in Control Panel. Please keep in mind that the task user must be an admin user who has access to the path of the shell executable and root user must not be used. Should you have any trouble creating the update task, please refer to the images I have shared below. The update will take place on every 15 minutes.